To be powered by a 110 cc engine; 125 cc may follow later. 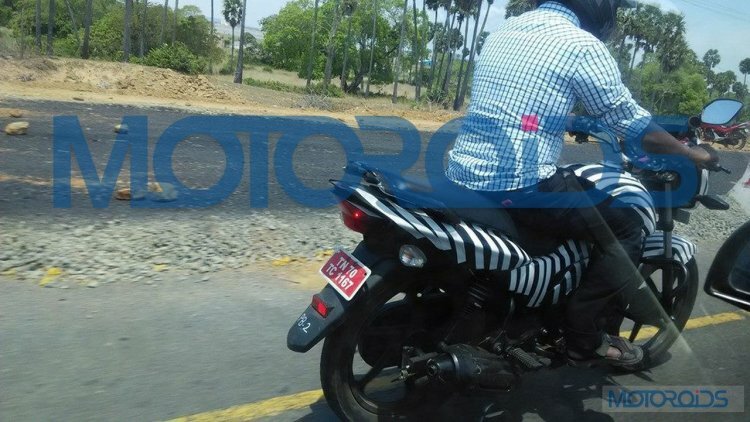 A Motoroids reader has snapped a camouflaged test mule of the new Victor recently. 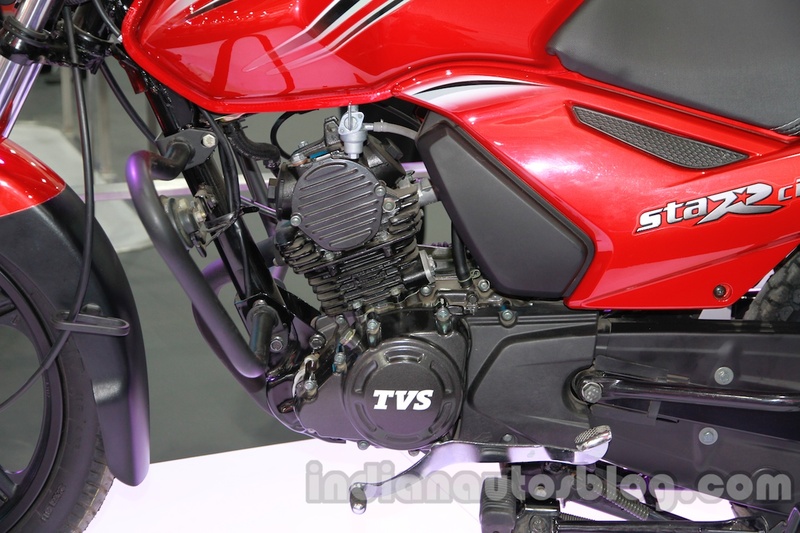 Since last year, TVS is road testing the new bike, which is likely to be positioned above the Star City+, and is the fourth commuter model from the brand. The relaunch of the Victor would make it 4 commuter motorcycles in TVS India's lineup. The Victor prototype features faux air scoops, double-rated coil springs at the rear, 5-spoke alloys, and slightly higher pillion ride position. It is stated to be powered by a 110 cc engine borrowed from Star City+ and will get the benefits of the Ecothrust technology. A 125 cc model may follow sometime into the launch. TVS announced early last year that the Victor model will make a comeback which was replaced by TVS Flame in 2008. The company, along with a high-power premium bike (next generation of the Apache), is planning to launch the commuter in the first and second quarters of 2015-16, after the success of last year's launches utilized extra production capacity, it was reported. Though the company has not confirmed the displacement, reports say it would get the same 110 cc Ecothrust engine as the Star City+. The new Victor will be manufactured at the TVS Hosur plant in Tamil Nadu, and compete with the Hero Passion Pro, Mahindra Centuro, etc.